Have you checked out our Ready Made products yet? They are beautiful! Although they are ready made most are customizable. These are one of our favorite products inspired by the work we did with Martha Stewart Weddings. 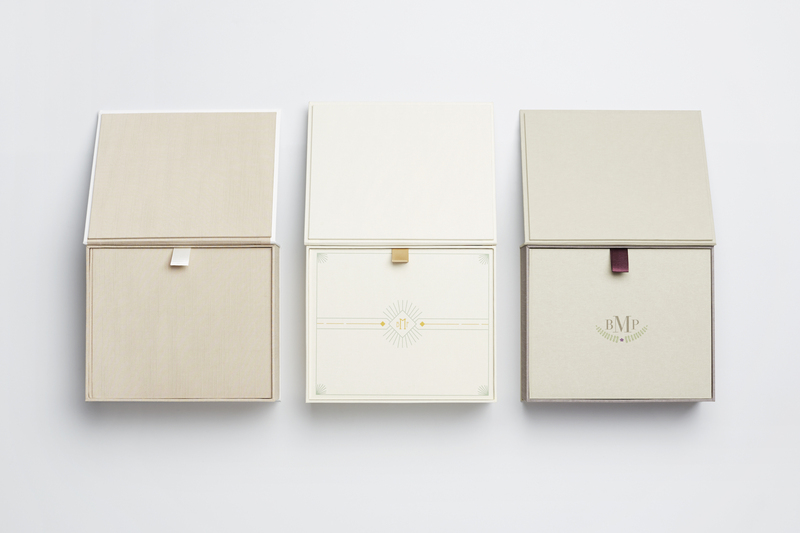 The clamshell box serves to hold cards or custom letterpress cards we can print for your wedding day. While the ribbon lift you see lifts out the customized guest book. These are the color choices in the ready made but if you want this product fully customized just contact us! We have you covered!